As we enjoy summer in the U.S., the children at IPI are working hard, as school is in session there. A highlight this summer was when a group of student visitors came and brought 100 baseball jerseys and caps and posters from the St. Louis Cardinals foundation, Cardinals Care. 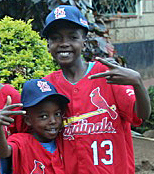 They are enjoying learning about the sport and the players, so thanks, Cardinals Care! We also want to thank all of our long-term supporters. For the children, besides financial aid, knowing they have a caring adult in the world behind them is more important than you may know. As the national elections in Kenya approach on August 8th, IPI has worked tirelessly to communicate messages of peace. IPI has held numerous programs to train future leaders who will have influence at the policy level of the country. A new generation of leaders is critically needed, not only in Kenya, but around the world. Character-driven leadership is about building trust among stakeholders and growing leadership from a firm foundation of values that guide ethical leadership. Who will save Kenya? Kenyans will, when they learn to elect character-driven leaders. More importantly, when Kenyans realize they have a role to play in ensuring the leaders they elect represent the citizens’ best interests, and not serve selfish ends to enrich themselves. We distributed an in-depth brief about the elections earlier in July and if you missed it, you can read it here. Lastly, Dr. Ringera will be coming to the U.S. this fall! We have events planned in Denver, St. Louis, New York, Ann Arbor, Washington DC, and Pittsburgh. If you are interested in attending one of these events or are interested in holding an event in your city, please contact Cara Hoevet at cara.hoevet@ipeacei.org. 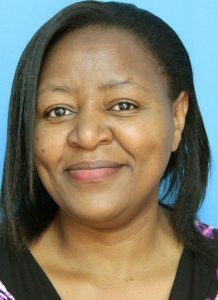 New Executive Director – IPI is pleased to announce Anne Makandi as the new IPI-Kenya Executive Director. Anne has a master’s degree in Human Resources Management and brings years of experience in institutional management, teaching and counseling. 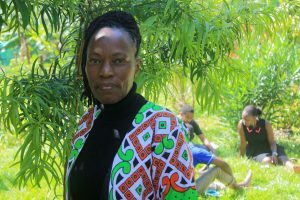 She is a mother and grandmother and is dedicated to community transformation. Silas Muriungi has transitioned to the Meru County Government where he works as an economist. Silas spent many years with IPI and was loved by the children and staff alike and he will be greatly missed. While Anne manages the Children’s Home and the women’s projects, Dr. Karambu Ringera remains the chief visionary and will work closely with Anne on strategy, new projects, program development and other areas. 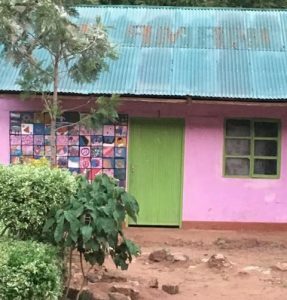 Library at KACH – Thanks to a Boston College grant, IPI-Kenya was able to build a modest library for the children who live at KACH. 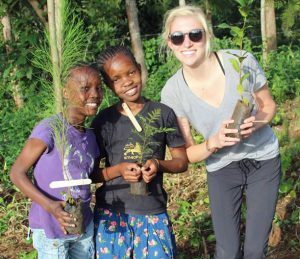 Julia Ross was a student who visited and worked at IPI-Kenya on a Students Shoulder-to-Shoulder summer program. While she was there, she really wanted to sit quietly with a child and read books together. However, there were no books and no space to do this. Due to her efforts, she secured the Legacy Grant from Boston College that allowed for this new space. The library is now furnished with tables and chairs for studying and shelves full of new books that were donated by friends of hers and fellow students at Boston College. 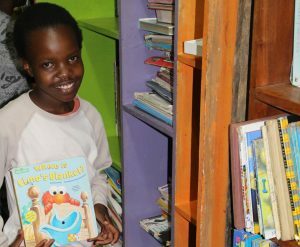 It has provided a wonderful, private space for the kids to read, to study and to supplement their schooling with books of interest. This offers a quiet space where they can also develop nurturing relationships with adults who come to visit, all with the goal of a better education. You can help a child learn to read. If you would like to make any modest donation to the library for new books, please donate today. 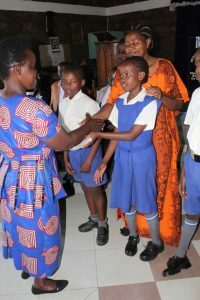 Star Students Pictured here are some of the children receiving awards from Chabuene Primary School. A few of our children were awarded for best academics, best behavior in class, and cleanliness. A number of our children have the highest marks in the school and some are in top averages for the entire district. Visitors to KACH are impressed by the amount of homework our children complete each night. All the children sit closely around a big table after dinner each night studying. Our children are in great need of additional sponsors and assistance for uniforms and school fees. If you would like to further the education of one of our children please donate today. My sister and I were raised by my mum and she has always been a strong person who values education. She would do anything to make sure we go to school. Shortly before I joined high school, my mum experienced medical issues that limited her ability to provide for us. As the firstborn, it was my responsibility to take care of my mum, provide for the family, be a role model for my younger sister, and continue my education journey. Miraculously, I completed high school in November 2010. In 2011, I started working with IPI-Kenya as a gardener. For the first time in my life, I felt a sense of belonging and peace. You may read the rest of Joy’s amazing story on our website. If you are interested in sponsoring one of our IPI College Scholars, please donate today and designate your gift go towards that program. Congratulations Graduates! On July 13, we held our second IPI Polytechnic School graduation. Our 53 graduates showed commitment and hard work and we wish them the best as they start a new life path. Over the years hundreds have graduated from our vocational college or have been trained on other programs and many of them are working in Meru and own small businesses. The vocational college focuses on catering and hospitality, hairdressing, tailoring, and a number of other trades. In these classes, both the skills and the business practices that are needed to market the skills are taught. These programs help improve the standard of living for the entire community. 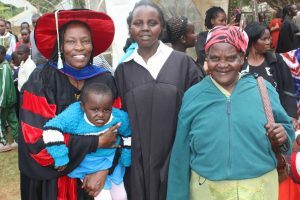 Pictured here is Karambu and one of our graduates, who was turned away from other training programs because she was unwed and pregnant. She joined our program, excelled and is now a proud Hairdressing and Beauty Therapy graduate and mother! Her future will never be the same because we believed in her ability to complete her education and gave her a chance to learn a skill that will enable her to take care of herself and her child. New Generation Leaders IPI-Kenya continues to partner with Mind Transform Africa and Effective Change Consultants to lead the New Generation Leaders (NGL) training program, held at IPI’s Tiriji Eco-Center. We have large groups of young potential leaders come from all over Kenya and other African countries for a week of training to become future leaders of Kenya, to transform lives, and learn to lead Kenya by action, not words. David Bernard-Stevens, former Nebraska State Senator, assists Dr. Karambu Ringera with these week-long sessions. High-potential leaders, like Evans, are invited back for further training through more advanced programs throughout the year. 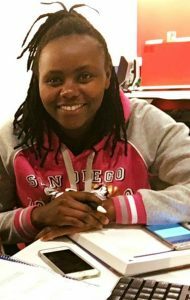 Evans is attending Kenyatta University in Nairobi and has completed one of our NGL programs. He and his younger brother Tirus came to our children’s home through extraordinary circumstances after having lived on their own in hiding long after their mother had died. Now, he is part of the NGL leadership team. You can hear him share his NGL experience in this brief video. If you would like to contribute to the fees of one young person attending a workshop, please donate $100, or any amount here. World Environment Day June 6th was World Environment Day. We had a successful tree planting day at the Tiriji Eco Center together with our children and the group from Well Aware! Our children are taught that taking care of the environment is critical and it brings joy to all of us. Environmental preservation farming techniques are taught at IPI as part of creating resilient communities. IPI Visitors One of IPI’s long-term partners, Students Shoulder-to-Shoulder, visits IPI-Kenya each year offering a life-transforming trip to high school students from the U.S. This year, Students Shoulder-to-Shoulder had the opportunity to work on the farm harvesting crops, as well as participate in the New Generation Leaders training program that was happening concurrently at the Eco-Center. To read one student’s reflections on her trip, please visit the Students Shoulder-to-Shoulder website. If you know of a student who may wish to join a trip next summer, please contact Cara Hoevet at cara.hoevet@ipeacei.org and we will help make that connection. The news in July that one of Kenya’s top electoral commissioners was tortured and then assassinated lends additional tension to an election campaign already fraught with legitimate concern. 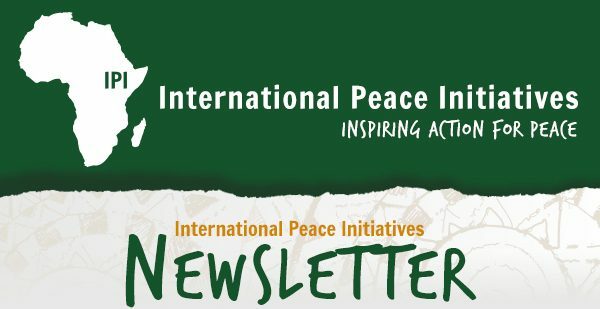 At IPI, we collectively call for peace and nonviolent forms of protest in the lead up to and during the election on August 8.
International Peace Initiatives has always provided peace programs in Kenya and has worked with local grassroots organizations as well. The upcoming Kenya elections have impacted the most vulnerable Kenyans. As in past elections, IPI continues to provide training programs to help facilitate peace and a better future for Kenya. This year we have been hosting workshops to prepare participants to become leaders who affect change in their families, schools, communities and the country. IPI Board Member, Jeffrey Smith, founder and executive director of Vanguard Africa wrote an informative brief on the upcoming elections. You may read the entire election brief on our website. Thank you for your continued support and thanks to all of the child sponsors! Sponsors are important people to our children. They are friends, encouragers and role models and offer the attention and support that the children need. A letter from a sponsor is really special and brings smiles to the kids. If you are interested in sponsoring a child, please contact us. Don’t forget to follow us on Instagram @ipeacei_kenya to receive regular IPI updates.